Available 4/4/19! 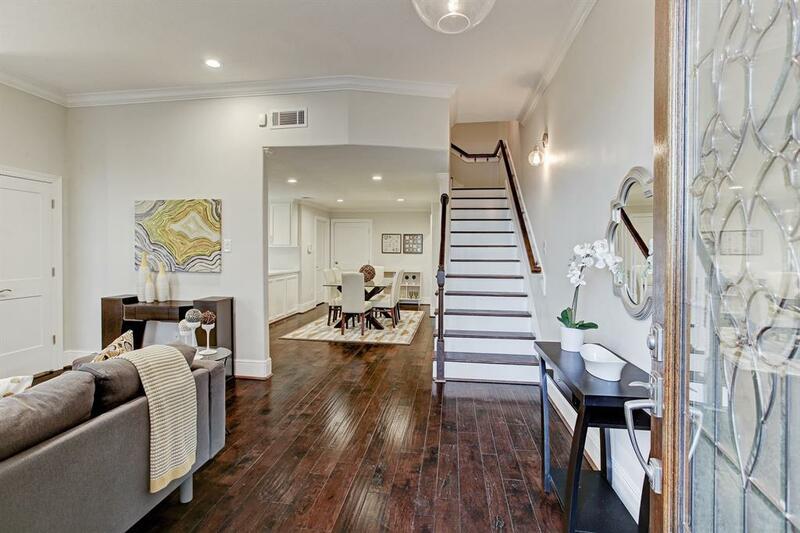 Nestled close to the serene landscapes of Buffalo Bayou Park & Memorial Park sits 4518 Dickson, a beautifully updated 3 bedroom/2.5 bath two story townhome. 1st floor living features a gourmet kitchen w/ quartzite counters, s/s appliances & abundant cabinet space + adjoining dining area & dry bar w/ wine cooler. 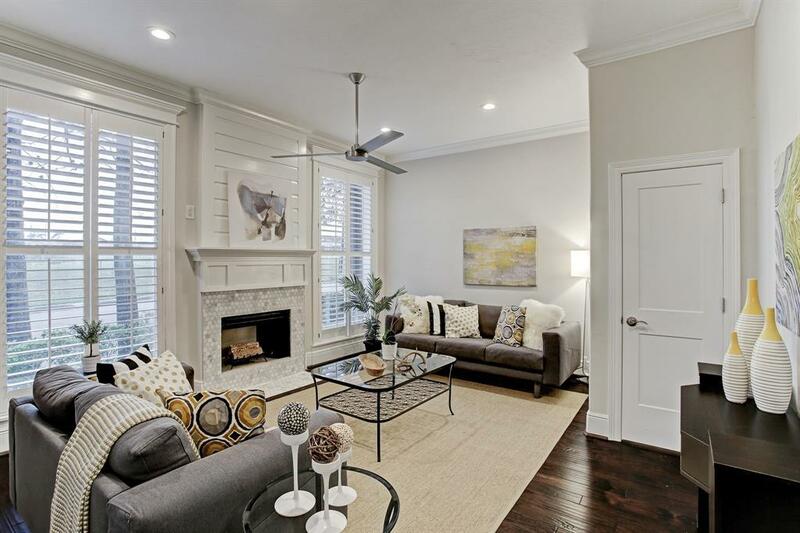 The spacious living room includes a wood-burning fireplace, plantation shutters, 10 ft. ceiling & nice natural light. Powder bath, pantry/storage closet & utility room on first floor. 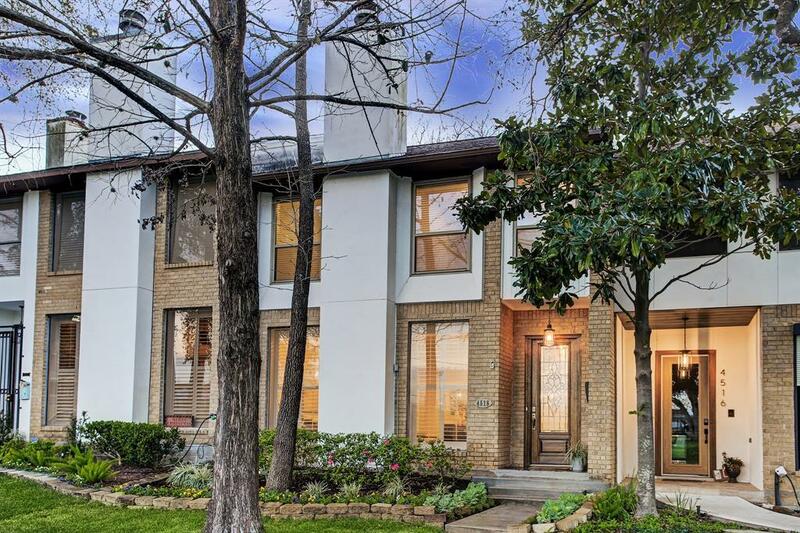 True 2nd floor master suite offers office/nursery area along w/ a sunken living space, 2 walk-in closets and spa-like bath which boasts double sinks & huge walk-in shower. Private covered porch too!! Oversized garage can handle 2 large vehicles & has extra storage space. 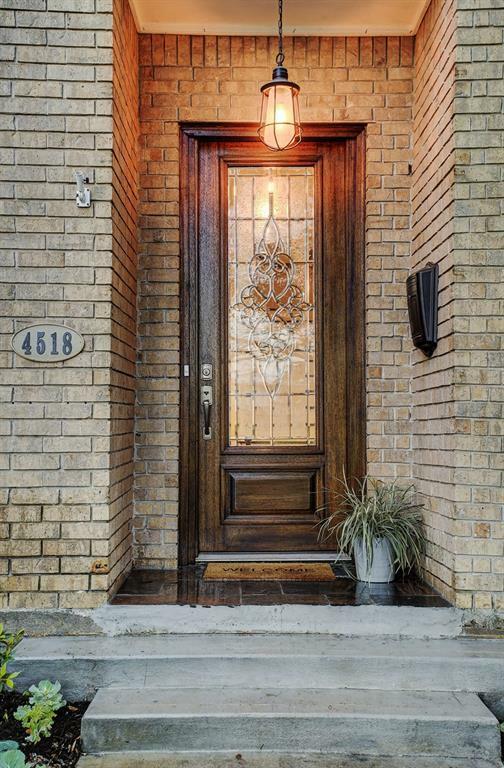 Front yard w/ sprinkler system and sidewalks for your leisurely walks in Rice Military. Premiere location to area restaurants, shops, parks and entertainment with a convenient location to downtown & Galleria.